Industry disruption. Clients better served. Your business wants to achieve great things and so do we. We believe that our new recipe for strategy consulting unlocks your full business potential. We are excited about the difference this new experience will make to clients and ambitious on what we can achieve together. SPURR has been created to provide a strategy consulting service that better reflects modern business, the dynamism of markets and the changing nature of organisations and the people in them. 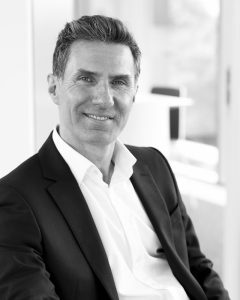 SPURR Managing Director, Jonathan Lamb, has used 20+ years’ experience of growing market-leading innovative companies, working with talented business leaders and using consultancy services to create a new service. When working with businesses whose drive, creativity and meticulous focus mark them out in their industry, you need to have a crystal clear idea of how you add value. Our company is driven by these high expectations and turns them into services producing business strategies that maximise client’s potential. The fundamental principles we bring to strategy consulting are set out below. All our work with clients is driven by these beliefs – values that we live to achieve greats things. Where we want to take the industry is bold. We want to liberate the potential of business through strategy experiences sought after by clients, admired by our team and respected in the industry. To help business people achieve great things by providing a leading-edge and personalised service experience which specialises in strategy development and execution.